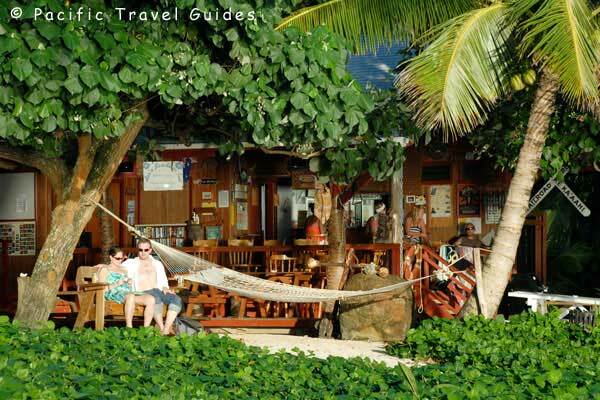 Aroa Inn Cook Islands is located on a beautiful white sand beach on the quiet south-west shore of Rarotonga with good swimming, snorkelling and kayaking at all tides. The eight Beachside Units and three Oceanview Units are set is spacious landscaped gardens in both single and double story accommodations all with lagoon views from their deck areas. All units are self contained with kitchens and en-suite bathrooms. The Beach Side Deluxe units are over two floors set right on the beachfront and screened by trees for privacy. Unit interiors are open plan with a well equipped kitchen, a single bed and a Queen size bed on a raised platform at the back of the unit which connects to the en-suite bathroom. There's also a small dressing room outside the bathroom. Each deck has an interconnecting door to another unit for friends and families holidaying together. Two of the Beach Side Deluxe units are Handicapped accessible - full wheelchair access to all areas of the unit including the shower. 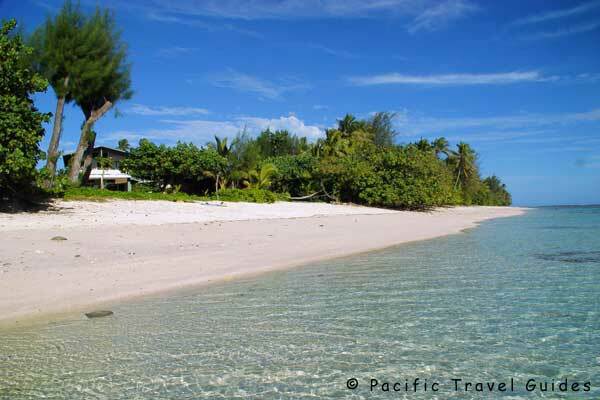 The beach in front of the Aroa Inn is very secluded with beautiful white sand backed by tall palm trees and one of the best swimming lagoons on Rarotonga. There are sun loungers and hammocks to soak up the sunshine. Other on-site facilities to make your stay more comfortable include car parking, security boxes, and same-day laundry service and ironing facility. There are shops and a dairy within easy walking distance, cafes and restaurants nearby, a bus stop right outside the property, and of course Rarotonga is a small island with a multitude of great destinations for dining out.